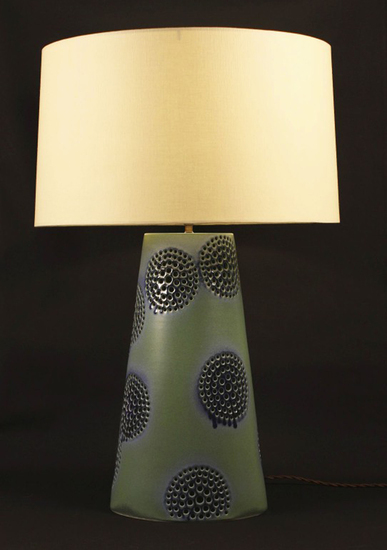 Ethereal, sand dollar-like figures float over the exaggerated and tapered cylindrical profile of this lamp, washed in a vibrant green and accented with soft purple and muted black and accented with a braided cord. A dynamic lighting source for a side table or entryway. Additional glazes, dimensions, designs and cord colors available.